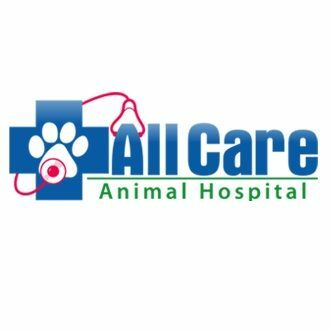 All Care Animal Hospital - Welcome to All Care Animal Hospital, your Veterinarian in Minneola, FL. All Care Animal Hospital is proud to serve the Minneola FL area for everything pet related. Our veterinary clinic and animal hospital is run by Dr. Colleen McCain, who is a licensed, experienced Minneola veterinarian. I lived in the Sanford, Florida area as a young child, and then moved to Michigan. My first winter there I almost got lost in a snow drift. I am a 2000 Michigan State Graduate, Go Spartans! For the first two years I practiced in rural Michigan. During this time I gained experience in all aspects of veterinary medicine. The most unusual pet I worked on was a skunk, she did well. I had a Holstein convince me I was not interested in being a cow doctor. On a very cold 5:30am Michigan morning I had an emergency call for a down cow. She had a problem that usually they are very sick from and will just lay there while you treat them. I fixed the problem, went to get some antibiotics for her. She stood up, looked at me, and then started chasing me around the stall. The bull in the barn became upset and begun posturing outside the stall. I realized as I was running around the stall that I still could not feel my feet they were so cold. The cow did great, however ever since I have been a cat/dog vet ever since. I have taken a round about way to make it back to Florida. Dr. Zagrocki describes me a nomad following family. I am no longer a nomad I am staying for years to come. However, I did choose to come back here to practice since my family is back here again. Prior to purchasing All Care Animal Hospital, I managed a veterinary clinic for a corporation for 6 years. I miss my clients, hopefully they will retire here and I will get to see them again. Dr. Zagrocki grew All Care Animal Hospital into a great clinic with great clientele. I will be continuing his traditions of good client service and practicing quality medicine.